Denise Jacob was born in Nice in 1924. She was living with her parents, two sisters and a brother when Nice was occupied by the Italian Army in November 1942. As the Italians were less anti-Semitic than the German Army, many Jews sought refuge in the area. Denise helped them find safe places to stay and in June 1943 she moved to Lyon to join the French Resistance. In August 1943 Denise became a full-time liaison agent for the resistance. Her work involved transporting messages, journals and other material to fellow members of the French Resistance. After carrying out her assignments for almost a year Denise was arrested and imprisoned in Montluc. In July, 1944, she was deported to Ravensbruck but survived until the end of the war. 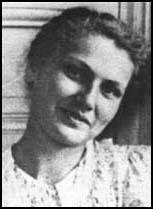 In 1945 she was awarded the Medal of the Resistance.